Lab-grown meat—also known as cultured meat, cell-based meat, clean meat, and others—is on its way. Note: this is not what lab-grown meat looks like. One of the major hurdles in getting lab-grown meat onto store shelves is a basic question: who regulates it? Who inspects it? The USDA and FDA put out a joint release last week answering some of those questions—and leaving some unanswered. Lab-grown meat is made by cultivating animal cells and putting them onto what’s known as a “scaffolding,” or a structure, so that they can mimic the texture of, well, normal animal meat. Currently, the scaffolding technology is really only in place to produce a texture like ground beef, which is why the first examples of lab-grown meat have mostly been burgers. The USDA/FDA statement is an agreement between the two entities that the FDA will handle inspection of the early stages of the meat production (like cell collection and growth), while the USDA’s Food Safety and Inspection Service (FSIS) will handle oversight once it’s in its raw form. That means the USDA will be responsible for regulating and inspecting the production of actual products, and labeling. 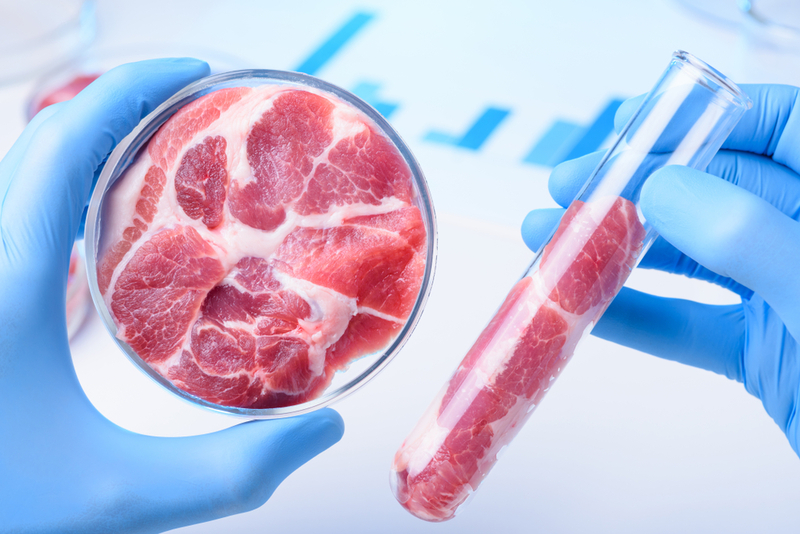 Labeling is, by far, the most contentious part of this whole debate, and the USDA and FDA did not announce any conclusion on how lab-grown meat will be labeled. Bills across the country have already been proposed, especially in states with a large beef industry, to bar future lab-grown meat products from using the word “meat.” The USDA does have the right to end this fight; states will have to follow whatever the USDA decides. But the USDA has yet to make any decision. Lab-grown meat has its proponents and opponents. Proponents say lab-grown meat has the potential to completely end livestock suffering, greatly reduce methane emissions, and potentially fight climate change. Opponents say that it’s expensive to produce (true, for now), that it requires a not insignificant amount of energy to produce (true, for now), and that, well, it’s not a section of an animal and therefore shouldn’t be allowed to be called meat (up for debate). We’ll be following this closely as it develops.